After a week off from the beginning of the tournament which started July 27-29, the 12A Blue team was back at it again this weekend for the bracket play portion. They started the day with a win over Maple River with a score of 7-2, moved on to play the always tough Orono Spartans and won 15-3, and eventually defeated a very defensive Edina Sting team 4-2! The team was only the home team once all weekend to make it an even bigger accomplishment! The 12A Blue team finished the season with a 33-11 record. 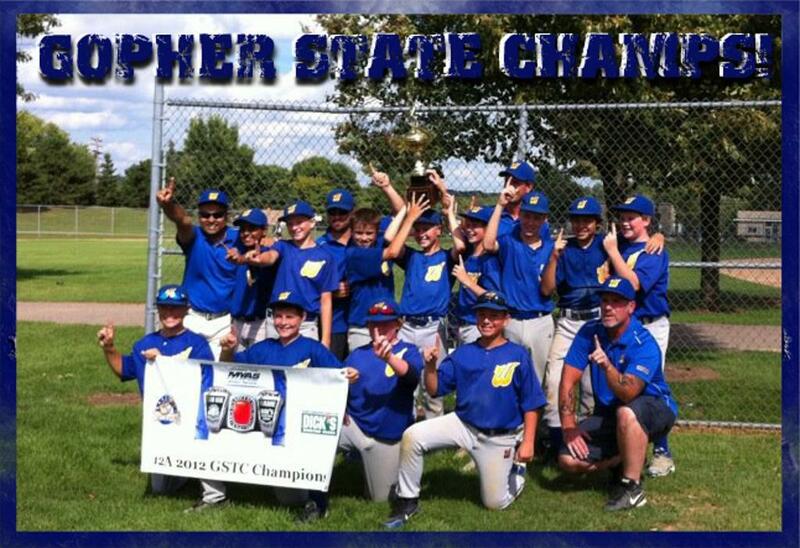 The boys will be receiving their Championship rings at an upcoming Twins game in September.